For genuine OEM replacement auto parts for your car, SUV or pickup truck near Cheboygan, Michigan, turn to the parts departments of Fernelius Auto Group. Our parts departments have access to the complete parts catalog of genuine OEM components, fluids and accessories for the new car brands that we sell. No matter if you drive a late-model or an older car of these automakers, our parts departments have the OEM replacement parts you need for your at-home auto project. Drivers of Ford, Lincoln, Toyota, Chrysler, Dodge, Jeep and Ram models near Petoskey and Cheboygan, MI can count on the parts departments of Fernelius Ford Lincoln, Fernelius Toyota and Fernelius Chrysler Dodge Jeep Ram. Our parts team at Fernelius Hyundai in Sault Sainte Marie, Michigan provides authentic Hyundai parts for sale, while Chevrolet drivers around Gaylord, MI can visit nearby Fernelius Chevrolet. Whether you need new tires for your Ford F-150, replacement brake components for your Toyota RAV4 or oil change supplies for your Hyundai, the parts teams of Fernelius Auto Group have got you covered. With authentic OEM parts and OEM-approved parts from Fernelius Auto Group parts department, you can rest assured that your car is receiving factory-quality components that were designed and engineered for use on your particular make and model. Did you know that you can order genuine OEM auto parts from our parts departments without even calling or visiting us? Our online order parts form is available to assist in your order. Once you have sent our team a parts request form, our parts professionals will review and confirm your order, complete with a total cost. To have your parts professionally installed, count on the ASE Certified and OEM factory-trained technicians at our service centers! Let the parts departments at Fernelius Auto Group be your go-to source for high-quality OEM auto parts near Petoskey and Gaylord, MI! 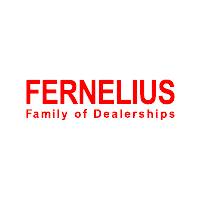 The full-service dealerships and parts departments of the Fernelius Auto Group are conveniently located in the Cheboygan and Sault Sainte Marie, MI areas.